With some many amazing World War 2 books out there, however can I choose my Top 10 World War 2 books? In general, I can’t say that I am huge into historical fiction. Not to say that I don’t like it, I just don’t find that historical fiction is my go-to genre. However, when it comes to books about World War 2, I can’t seem to get enough. Of all the periods of time, World War 2 seems to have one of the clearest depictions of good versus evil. The acts of bravery and depths of horror stand out in stark contrast against one another. Unlike the complicated politics of the first World War, World War 2 seems so much more clear cut. I love reading both fictional and nonfiction accounts of the events that occurred in such an important period of history. Am I really qualified to choose the top 10 books of any subject, much less the top 10 World War 2 books? Probably not, but I’ll do it anyway. Having an opinion on a topic is basically my prerogative as a blogger. I can’t say that I’ve read every World Ward 2 book out there, but I aim to do so someday. Though, I will admit that I have read quite a few. Generally, I gravitate toward bestselling World War 2 fiction, but I have tried to read lot more World War 2 nonfiction lately. As with any list, my list of the Top 10 World Ward 2 books is quite subjective. Maybe you’ll love it and be inspired to pick up Audey Murphy’s autobiography. Maybe you’ll hate it because I left off Anne Frank’s diary. Whether you love it or hate it, let me know in the comments. I’d love to hear how your top 10 World War 2 books differ from mine. Or feel free to check out what WWII historical fiction our readers love the most. Let’s kick off this list of the Top 10 World War 2 books with one of my favorites. I’m not at all surprised it won a Pulitzer Prize; the writing is absolutely fabulous. 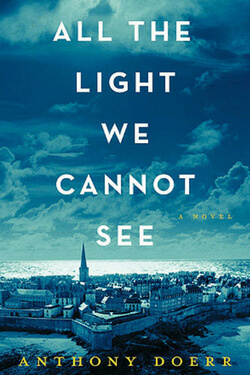 Anthony Doerr masterfully interweaves the stories of Marie-Laurie, a blind French girl who flees from Paris to the coastal city of Saint Malo with her uncle, and Werner, a German radio operator charged with rooting out the French resistance. While the plot is interesting in and of itself, the character development and storytelling will keep you glued to the page. 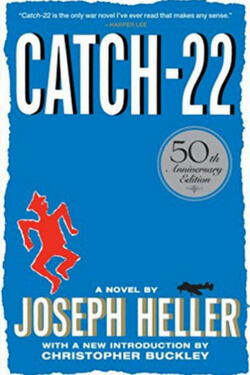 I hated this book when I first read it. I mean, I absolutely despised it. It’s completely ridiculous. 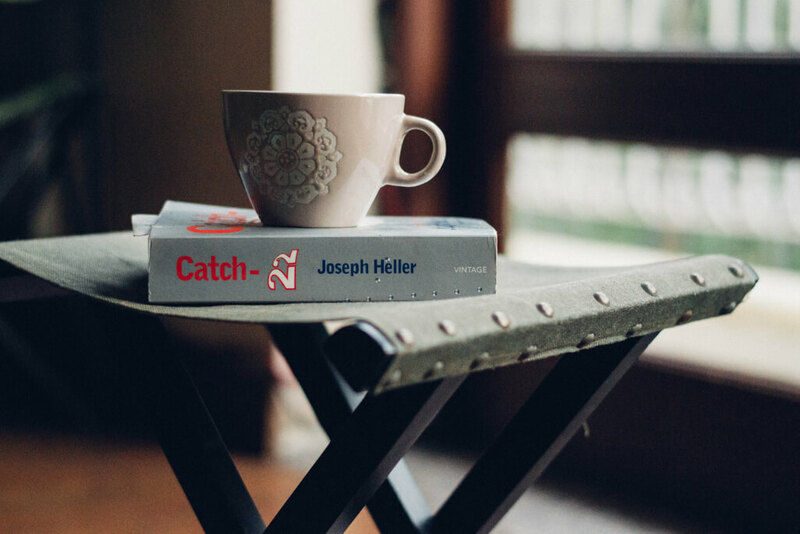 Heller’s brand of satire involves stories that are over-the-top exaggerations, and he’s never heard of character development. Yet, a few months after I finished it, random bits from the book would pop up in my mind and make me laugh. The man whose name is Major Major Major Major. The Allies bombing their own bridge. I promise you, you’ll either love this book or hate this book. But, if you are in the right frame of mind, you’ll eventually see why this book earned its place in the Top 10 World War 2 Books. I know many would scoff at my choice, but I can’t recommend this book enough. You’ll find yourself immersed in a world of intrigue with the story British spy, Agent “Verity.” Captured when her plane crashes in occupied France, Verity is interrogated by the Gestapo in an attempt to learn of her mission. 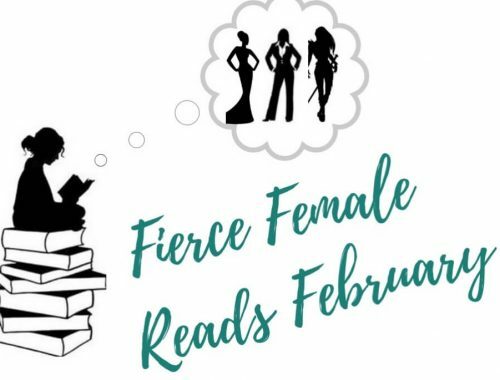 As she confesses under torture, you’ll find yourself on the edge of your seat wondering what secrets she is willing to exchange for her life. How far is she willing to go for her mission? A brilliant and emotional read that you won’t want to miss. Definitely my favorite of the World War 2 books for teens. To round out the fiction section of my top 10 World War 2 books, I’ve chosen Herman Wouk’s Pulitzer Prize winning novel. 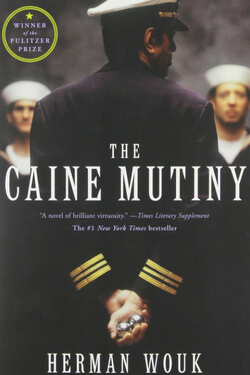 Written only six years after the end of the war, The Caine Mutiny has astounding detail most modern author’s can never hope to achieve. Mostly because the story is heavily based on the author’s own experiences during the war. The story details the life aboard the U.S.S. Caine and the moral complexities of wartime decisions, especially the hard choices that need to be made by a captain at sea. What would you do if you noticed your neighbors suddenly disappearing? A quiet old maid living with her older sister and elderly father, Corrie ten Boom knew that she had to act. Her family joined the Dutch Underground and built a secret room to hide Jews within, for which they were to pay the ultimate price. 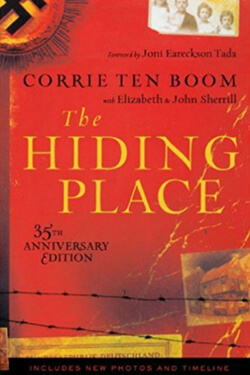 Corrie ten Boom’s heartrending account of her life will inspire you to have faith, hope and courage no matter what obstacles you may face. Audie Murphy was one one of the most decorated soldiers in World War II, earning basically ever honor possible including the Congressional Medal of Honor. Reading his book, I came to the part describing his account of the actions that earned him the Medal of Honor, and he made it sound like it was no big deal. He single-handedly held off a whole company of German soldiers for more than an hour. But he just did what had to be done. That’s the true mark of a hero. 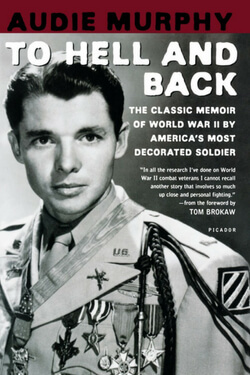 Interesting enough, after World War II, Audie Murphy went on to become a movie star, even starring in the film adaptation of his autobiography. I was debating putting two Holocaust stories on this list, but I think you should read both of them. While Corrie Ten Boom’s illustrates finding the joy within any trial, Elie Wiesel’s story is heart-wrenching account that really shows no mercy. While I love good World War 2 novels, World War 2 nonfiction books really illustrate the depth of the Holocaust. It is our responsibility to read books like this, no matter how depressing, so that truly understand the horror of these events to ensure they don’t happen again. While we are often reminded of the horrors of the Holocaust, we seem to sometimes overlook the awful events that occurred in the Pacific theater during World War 2. 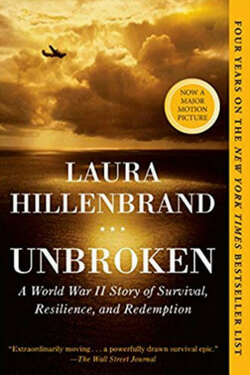 Laura Hillenbrand’s bestselling book details the life of Louis Zamperini, a former Olympic runner who even shook hands with Hitler at the Berlin Olympics. Shot down in the Pacific Ocean in 1943, Lt. Zamperini managed to survive on a life raft for 47 days only to be found by the Japanese. Lt. Zamperini’s resilience will amaze you as he struggles to survive life as a Japanese prisoner for almost three years. Last, but not least, for our Top 10 World War 2 Books we have the thrilling account of Easy Company, a unit of the 506th Regiment of the 101st Airborne Division of the US Army. 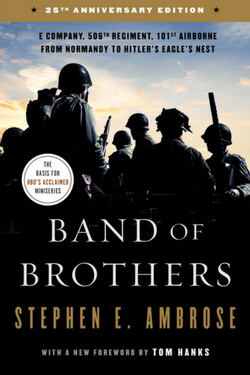 The book gets it’s title from the Shakespeare quote, “We few, we happy few, we band of brothers. For he today who sheds his blood with me shall be my brother.” Instead of following one man’s journey, the cast of characters winds in and out as men come and go from the company due to reassignment, injury and death. Stephen Ambrose’s powerful book is a remarkable look at the everyday men who became legends. If you haven’t seen the HBO miniseries, you are truly missing out. How does your list of the top 10 World War 2 books stack up against mine? I used to love historical fiction, but have gotten burned out recently…especially from WWII books. But, one exception was We Were the Lucky Ones by Georgia Hunter. I loved it when it came out in 2017 and it’s a very different take on WWII. Also based on the true story of what happened to the author’s family. I also really liked Lilac Girls, by Martha Hall Kelly, though the descriptions of Ravensbruck were a little too graphic for me. The Women in the Castle, by Jessica Shattuck, was extremely well-written, but I found it incredibly depressing. Which, I know, is going to happen given the topic, but it was just a bit much for me. The first three books I listed are a bit “lighter” WW2 reads, which seems to be what I prefer in that genre. Great list! 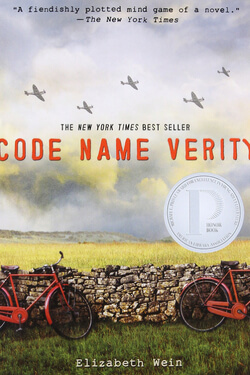 I’ve seen a few good reviews for Code Name Verity all the other books are new to me. Nicely compiled list. My Dad was a lover of war books and films (I cannot count the times that I have seen the Battle Of Britain fly-over or a Red Arrows show. Air shows were a regular family day out during my childhood) I am not a fan of such books or movies myself but as Band Of Brothers was one of my Dads favourites, I would probably read that. I loved All the Light We Cannot See and I had to read Night in college. I recently bought another copy from Bookoutlet so I can reread. I loved All the Light We Cannot See and had to read Night in college. I recently purchased another copy of Night from Bookoutlet so I can reread. Great list. I haven’t read a lot of these! This is a great list. 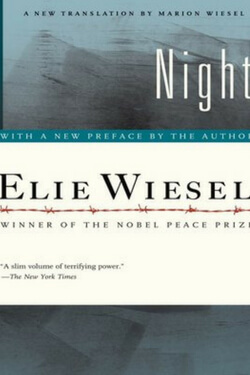 I love Elie Wiesel’s Night as well as Dawn. Thanks for sharing your thoughts on these! I must confess, I’ve really gone off fictionalised accounts of WWII lately. 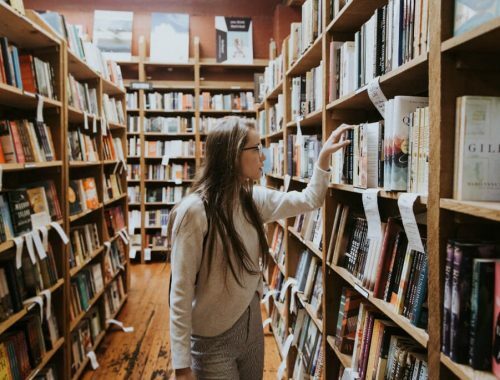 I think it’s a combination of having read too many back-to-back, and also feeling really disappointed that so many incredible non-fiction stories and memoirs are being overlooked in favour of same-ish fiction books. I loved The White Mouse by Nancy Wake; sure, the writing wasn’t on par with Anthony Doer, but her real-life story and incredible bravery absolutely blew me away. 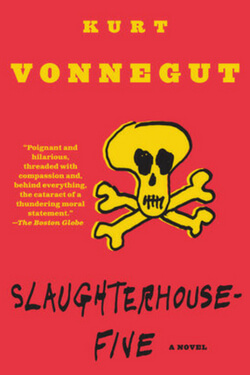 I’m trying to make a point of taking a break from WWII historical fiction for a while, re-setting my brain a bit, but I’ll have to give Slaughterhouse Five a go at some point – it’s definitely outside the mold of typical WWII fiction 😉 Thanks for sharing this great list and including a bunch of wonderful non-fiction reads! There are so many books in the genre, I will say that my favorite is Unbroken. I’ve seen the movies, they are only just snap shots of the whole story. They were both good, but of course the book is much better. My husband is a history teacher so we have a lot of reading material on this subject. We’ve been reading George Kolber’s book Thrown Upon The World and it’s been excellent. True story of 2 families torn from home and forced to find a new place to ride out the war. The families come to meet and it’s just an exceptional read. thrownupontheworld.com. I think it belongs in one of the best WWII reads.